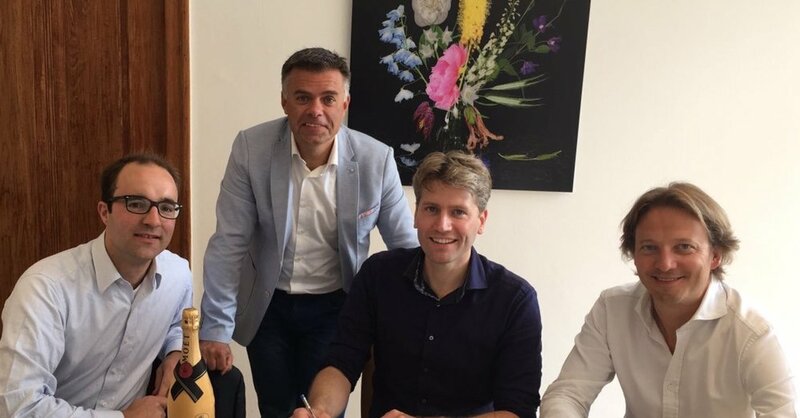 Logistics tech start-up Synple has developed a collaboration platform for road freight companies, and today the company announces that it has received a €1.1 million investment from Newion and Mainport Innovation Fund II. 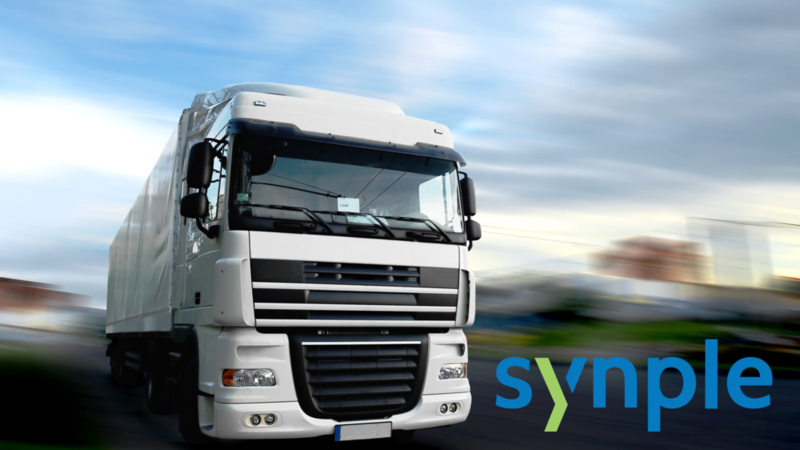 The Synple software platform allows partners in road transport to simply match freight orders with available capacity. This will make the transport sector more efficient, it will reduce the number of empty runs and CO2 emissions and it will increase profitability. With this first external financing round, Synple will be able to connect transportation companies faster, expand its organisation and scale up for international expansion. One in four trucks on the road is empty. It is Synple’s ambition to reduce these empty runs by 50%. Together with partners in the logistics sector, Synple has developed a collaboration platform for an exchange of trips between transportation companies. Like digital freight platforms such as Uberfreight, Convoy and Saloodo, Synple uses smart technology to match freight with capacity. What makes Synple unique is that it can make smart combinations of runs between trusted partners in real time. On top of that Synple offers a state of the art user interface for transport schedulers, who can process the required information in their own transport management systems with the click of a button. The information is exchanged via the Synple platform without having to disclose any confidential information or having to make adaptations to the existing systems. Collaboration at the click of a button! Hauliers can link the Synple platform to their existing systems as a collaboration module. Synple’s solution saves transport schedulers a lot of time and searching and it enables them to carry out runs more efficiently. In addition to saving time and reducing errors, the solution results in a saving of road kilometres, reduced CO2 emissions and, as such, sustainable profits for the transport sector. National and international parties that have undertaken projects and pilots with Synple are very enthusiastic and they confirm the usability for schedulers. In the time to come, large and smaller transport companies in the Netherlands and Belgium will be linked up, after which the rest of Europe will follow in 2018. “We want to invest in businesses that are able to realise a permanent improvement in the logistics sector. We are convinced that Synple has the team and the solution to realise a real impact on empty runs. In 2015, Synple started applied research into the field of logistical collaboration in the road transport sector. Together with Dinalog, Connekt and TNO (the Netherlands Organisation for Applied Scientific Research), among others, it started projects to test the concept. In 2016, the founders, Roderick Rodenburg and Machiel Resink, started developing a first version of the Synple platform. The roll-out of a scalable platform was started in 2017. Synple is active in the field or road transportation of heavy and special goods and fast moving consumer goods. Visit synple.eu for more information. Newion III is the third business software fund of Newion and it focuses on business software companies in the Benelux. Since its incorporation in 2000, Newion has been one of the most successful VC’s in its segment. Newion has a reputation of being a committed investor and it has experience in investing in start- and scale-ups. The European Investment Fund is a cornerstone investor in Newion III. Its previous funds successfully invested in Oxxio (exit), Mirror42 (exit), Q-go (exit), Collibra, Nallian, iWelcome, Reasult, 24iMedia, CustomerGauge, Instant Magazine, L1nda, The Next Ad and Oxynade. Visit www.newion-investments.com for more information. MIF II wants to encourage innovation in logistics, transport and aviation. The fund was set up in 2015 by Schiphol, KLM, Delft University of Technology, NS and the Port of Amsterdam, along with NBI Investors, the fund manager. MIF II has invested in ViriCiti, Parcompare, We4Sea and Synple. Its predecessor, Mainport Innovation Fund I, has invested in Casper (exit), Multi Pilot Simulations (exit), FastTrack Company, Ampyx Power (exit), Robin Radar, MI Airline, Snocom, Eye on Air, Undagrid and Calendar42. MIF I and II use the Seed Capital scheme of RVO.nl. See www.mainportinnovationfund.nl for more information. De oprichters van Synple zijn in 2015 begonnen met conceptontwikkelingen voor logistieke samenwerking. Al gauw werd op basis van studies met verladers en vervoerders, de Topsector Logistiek en universiteiten duidelijk dat samenwerking tussen horizontale samenwerking tussen logistieke dienstverlening een enorme impact op duurzaamheid en CO2 reductie heeft. Sinds 2016 werkt Synple aan verschillende pilot-platforms om deze logistieke samenwerking verder te ontwikkelen. Hierbij komt zowel ontwikkeling van nieuwe samenwerkingsmodellen als wel ontwikkeling van technische oplossingen kijken. In 2017 zijn er veel bekende maar ook veel kleinere transportbedrijven die elkaar vinden bij Synple. Synple is voor elke transporteur toegankelijk, maar de in 2017 ontwikkelde Synple Private Cloud zorgt ervoor dat je als transporteur alleen gegevens deelt met aangegeven vertrouwde partners. In 2017 zal het platform verder ontwikkeld worden samen met de reeds aangesloten transporteurs. Voor 2018 staat grote opschaling naar de breedte van de logistieke sector gepland. De naam "Synple" komt van synergie en eenvoud. Samenwerking is makkelijker gezegd dan gedaan, daarom focussen wij ons op de workflow van de gebruiker en helpen we om samenwerking leuk en overzichtelijk te houden. Jury of the prestigious Dutch innovation award expects the transport collaboration platform to have a significant impact on the world of transport and logistics. Het Platform Logistieke Uitwisseling Consumentengoederen (PLUC) verbindt de ritplanningen van aangesloten vervoerders met elkaar, zodat lege plekken worden opgevuld. Het netwerk staat open voor nieuwe leden.